Unable to Measure Your Marketing Performance? Switch to Digital Marketing! Home > Blog > Blog > Unable to Measure Your Marketing Performance? Switch to Digital Marketing! You aren’t getting to know as to where you are heading to with conventional marketing except for the return on investment (ROI) that you can calculate with the help of readership and footfall. You are putting in a lot of effort and money in your conventional marketing venture but unable to measure your marketing performance. This is one more field where digital marketing scores high as in assessing your performance. The tool called web analytics in digital marketing offers you with immense metrics to evaluate your marketing venture at its every level. Web Analytics bestows you with immense data that you can take help from and optimize your website and website endorsement. 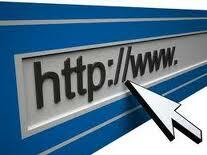 You can evaluate the performance of your website through clearly defined website objectives and KPIs i.e. key performance indicators. It is always good to have clearly defined website objectives and form key matrices in order to improve the KPIs over a definite period of time. As far as display advertising is concerned there are some universally used metrics such as CPC (cost per click), CPM (cost per thousand impressions), CTR (click through rate) and CPL (cost per lead generated) through which the campaign is scrutinized and even its success or the failure is assessed. Not just that analytics endow you with another wonderful metric called CPEA i.e. cost per end action. CPEA allows you to conduct overall campaign effectiveness analysis. It helps you identify the best performing combination of creations, property or website, ad size and landing pages in achieving the campaign objective easily. It lets you implement creative analysis and figure out the best performing creative. You even can calculate the impact of non-click traffic on overall campaign efficiency. Moreover, you can also conduct post impression analysis of brand campaigns. Web Analytics tools helps you observe the keywords that brought visitors to the website and gives you an idea about the fact that a small amount of branded keywords and a very large amount of generic or category keywords donates a small amount of traffic to both SEO and PPC marketing respectively. Hence, you can rationalize the search engine marketing expenses by optimizing the website through SEO for branded keywords and PPC advertising for the low bid value category keywords by using the insights achieved from web analytics data. When it comes to email marketing analytics provides you with the customer behavioral data through which you can develop insights to create applicable e-mails. Let’s take an example that a customer lands to your website, walks through the services page and then exits from there. You can consider sending an e-mail with services comparison information or so to this visitor. Or let’s say if the guest even selects some items in the shopping cart and disposes the procurement process of, you can send this visitor a mail with reasons supporting to buy this product. At present we all are aware with the fact that internet marketing is far more responsible than the traditional media in terms of ROI calculation. Hence, go ahead and create your own digital marketing strategy today. If you aren’t aware with its technicalities hire a professional or get mentored and take training in digital marketing today. The sooner you start your digital marketing campaign the better ROI you get. Moreover, they say it’s never too late to start something good if you think you are late.